Every horticulturist has one or more favorite books--books that are in constant use and are rarely returned to the shelf. Which orchid books do we like? Which are the most-used, most loved, most likely to be rescued from the flames if the library were burning down? 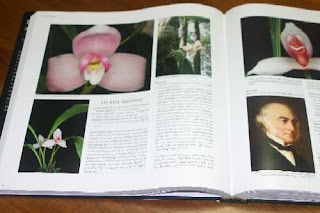 For cultural information about tropical orchids I like two books in particular, the Orchid Species Culture series by Charles and Margaret Baker; and the Encyclopedia of Cultivated Orchids by Alex Hawkes. In terms of style, these two books could not be more different. 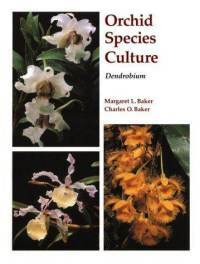 Charles and Margaret Baker's series of Orchid Species Culture books details the culture of hundreds of orchids based on data gathered at meteorological stations located within the geographical range of each species. This approach has one significant caveat: The weather records do not reflect the exact conditions in the plant's microclimate. Nevertheless, the Baker books give the orchid grower at least the impression that she has some objective data beyond the usual "likes intermediate temperatures." Greenhouse geeks (like me) who enjoy creating software templates to track average temperatures in their greenhouse will swoon over these books. You can waste hours blissfully poring over these tables. General readers (normal folks) can pick up lots of useful and very specific tips about how to grow your orchid. 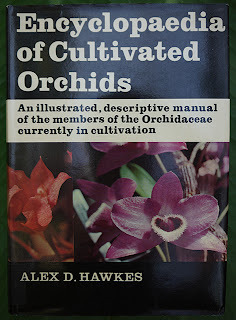 At the other end of the spectrum is Alex Hawkes classic 1965 Encyclopedia of Cultivated Orchids. Taxonomy may have changed, but Hawkes' cultural recommendations remain sound. For an encyclopedia, this book projects a surprisingly distinctive personality. I like Hawkes' aristocratic stock phrases, "requires quantities of fertilizing materials, and "is singularly intolerant of stale conditions at the roots." The book's line drawings are exquisite. This book has been in and out of print for decades. After a long search (in pre-internet days) I finally stumbled upon a copy at Fairchild Tropical Garden's bookstore and unhesitatingly forked over all of my cash for it. Finally, Henry Oakeley's sumptuous Lycaste, Ida and Anguloa, published in 2008. Every plant deserves the lavish devotional treatment that the author gives to these three particularly lovely orchid genera. 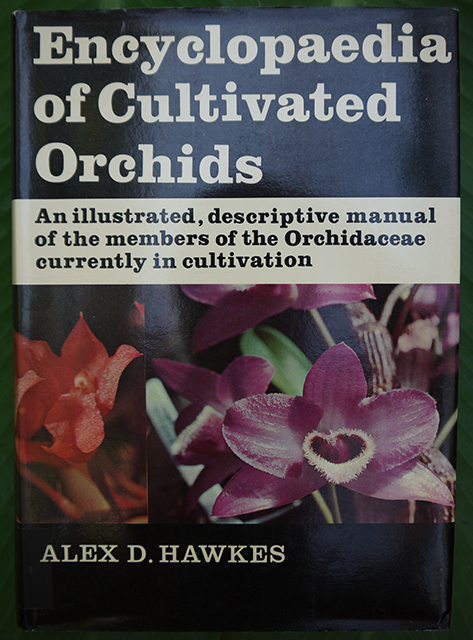 Oakeley is the National Plant Collection holder for these genera in the United Kingdom and his book is the fruit of decades of work with them. The photography alone would make this a stunning coffee table book. But more than that, it contains descriptions of 150 species and natural hybrids, with photographs, historical notes, synonyms, bibliography, cultural information, habitat details, and information on everything from location of type specimens, pollination mechanisms and how to prepare specimens for exhibition. I suspect it will become a treasured collector's item years from now. I'll leave it to others to debate the taxonomy--this is the book that I would run through the flames for. Mike and Sarah's Go-to orchid books are here.